Note: The "2+2" term is used to refer to a transfer agreement through which a student completes an Associate degree at one institution and finishes a Bachelor degree at another institution. Due to individual student factors, part-time or full-time status, need for transitional education coursework, scheduling and availability of courses, or other factors, all students may not be able to complete these degrees in 2 (Associate) or 4 (Bachelor) years. The term "2+2" does not imply a guarantee that a student will be able to complete all requirements in 4 years. Students completing this option will receive an Associate in Arts degree from West Virginia Northern. Upon completing the additional credit hours required at WJU, they will receive a Bachelor of Arts Degree in Psychology. 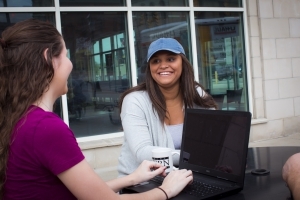 Students are encouraged to meet with a member of the Psychology faculty at WJU early in their program of study at WVNCC to obtain information and counseling concerning the Psychology program. Important Note: Students should be aware that the Bachelor of Arts degree in Psychology from WJU does not qualify students for any kind of licensure. Students who are interested in becoming licensed social workers, licensed psychologists, or licensed professional counselors have to complete a Bachelor and/or Master’s degree in a field that is license eligible. Consult with an academic advisor for questions related to this note. *Although a cumulative GPA of 2.0 meets requirements for graduation at WVNCC, students who do not meet the GPA (or other special) requirements at the transfer institution for admission to this baccalaureate program may not be admitted to the program until they are able to meet those requirements. Students should consult with an advisor at the transfer institution early in their program to check on this, and other requirements for admission to the baccalaureate program. * Choose from: ART 150, MUS 105, ENG 200, ENG 201, ENG 210, or ENG 211. ** Choose from: MATH 110, MATH 210, or MATH 279. + Choose from: HIST 100 or HIST 101. ++ Although electives may be chosen from any three-credicourse, recommended electives include: CIT 117, HS 147, HS 150, HS 206, or PSYC 155. # Minimum grade of "C" is required for transfer.